The Apple WWDC 2018 is coming soon, and Apple is expected to unveil iOS 12, macOS 10.14, watchOS 5, and tvOS 12. Apple has now officially announced the dates for the annual developer conference, and it appears as if WWDC 2018 will be held June 4 through June 8 and will take place in San Jose, California for the second time in a row. The arena for this monumental occasion is the McEnery Convention Center – the same building that the conference took place in in 2017. The WWDC 2018, like all Apple developer conferences, will likely be an announcement-packed occasion where we’ll see more information regarding such releases as iOS 12, macOS 10.14, watchOS 5, and tvOS 12. Essentially, you should expect information regarding new releases for the software for the majority of Apple’s product families. 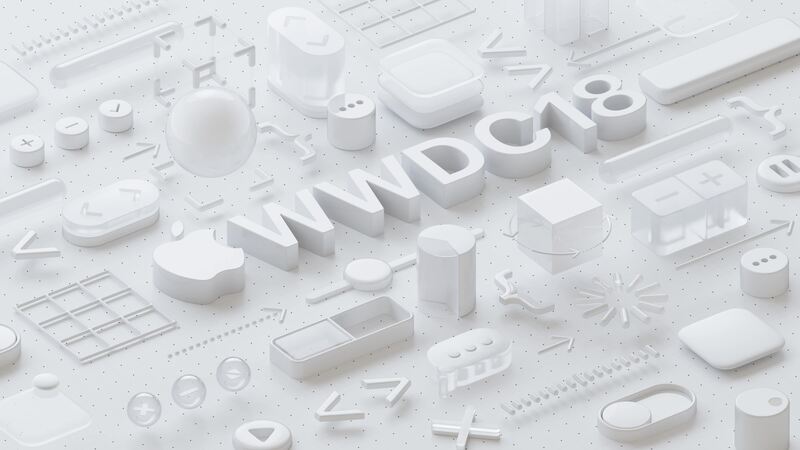 The WWDC 2018 is a hotly anticipated event, and those looking to have a seat in the conference where we’ll see new info on releases like iOS 12 or watchOS 5 will have to complete in a lottery system in order to address the high demand for tickets. You’ll be paying a pretty penny for the privilege to be present at WWDC 2018 and take a front seat to the unveiling of macOS 10.14 and more, with tickets going for $1599. Long story short, WWDC 2018 is an opportunity for the most dedicated developers to be present at the initial announcement of updates to many of Apple’s software implementations and perhaps get a head start on development for these new ecosystems. The opportunity to get your hands on the WWDC 2018 tickets and get your first taste of iOS 12, macOS 10.14, and watchOS 5 is offered by random selection, as mentioned above. Registration for tickets is now open and will be available until March 22, 2018 at 10:00 a.m PDT – with the select few being informed of their luck shortly thereafter. As far as what exactly we can expect from the release of such major updates as the monumental iOS 12, details are currently sparse. However, recent rumors suggest a change in development philosophy – prioritizing bug fixes and stability over the rapid rollout of new features. However, that’s not to say we won’t see anything new or unique from the release of iOS 12, macOS 10.14, and watchOS 5 when it comes time for WWDC 2018. As with previous conferences, we can expect the announcement of new features and improvements to the entirety of Apple’s ecosystem. Outside of the rumors regarding bug fixes, there are also whisperings of an update with macOS 10.14 and iOS 12 to support apps between the two operating systems. This update would be par for the course for Apple, as the company has traditionally focused on increasing integration and cooperation between the products market their ecosystem. Part of the reason Apple products have managed to succeed to such a major degree is their ability to interact seamlessly with one another. With Android devices and PCs, it can sometimes be difficult for the average user to ascertain the best way to transfer their experience from device to device. The addition of this new feature with macOS 10.14 and iOS 12 – and perhaps even with watchOS 5 – may lend itself to a WWDC 2018 focused on integration and connection in addition to prioritizing fixes, tweaks, and stable releases. For those developers who are lucky enough to attend WWDC 2018, or for those who prefer to follow along at home, Apple offers an official WWDC app for iPhone, iPad, and Apple TV that will give you a front row seat for the action – perhaps making up for the disappointment of missing out on that exclusive and highly sought-after physical ticket. Overall, despite Apple’s reported philosophy change towards stability over releases at a breakneck speed, we should be able to expect an excellent WWDC 2018 that give us a taste of the future of iOS 12, macOS 10.14, and watchOS 5.